Cook pasta according to package directions, drain, and set pasta. In a large skillet, add the butter and melt over medium heat to melt. Add the salt, pepper, garlic powder, optional nutmeg, and stir. Add the cheddar, Parmesan, and stir until melted and smooth. Add the pasta and stir well. Serve immediately. 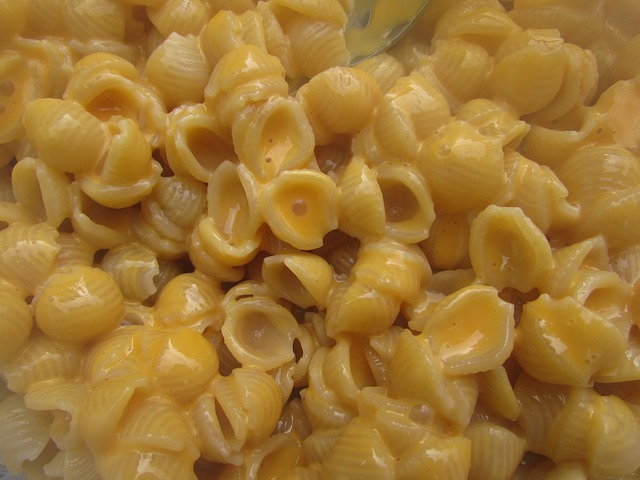 Depending on how you like it, if macaroni and cheese is too thick, add a splash of milk or water to thin out to taste.